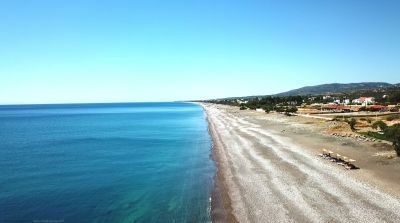 The scenery is more or less the same, Wherever you may find yourself along the Ialysos (Ialyssos) shoreline: the heach is highly organized with the gardens and swimming pool just behind and at the rear the multi-storey hotels with their tennis courts and other facilities. 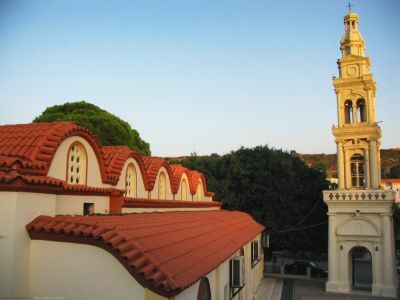 This is where the development of Rhodes as a tourist destination began in the 1960s, 5 km south-west of Rhodes City. Today there are over 20.000 hotel beds in the hotel zones of lxia and the small town of Ialysos, including several luxury hotels. There is a lot going on here: At the Strip in Ixia centre, but also at the Ialysos beach, there are bars and restaurants, discos are also available. In the pubs in the lively little town lalysos, one can even experience a real Greek youth scene. 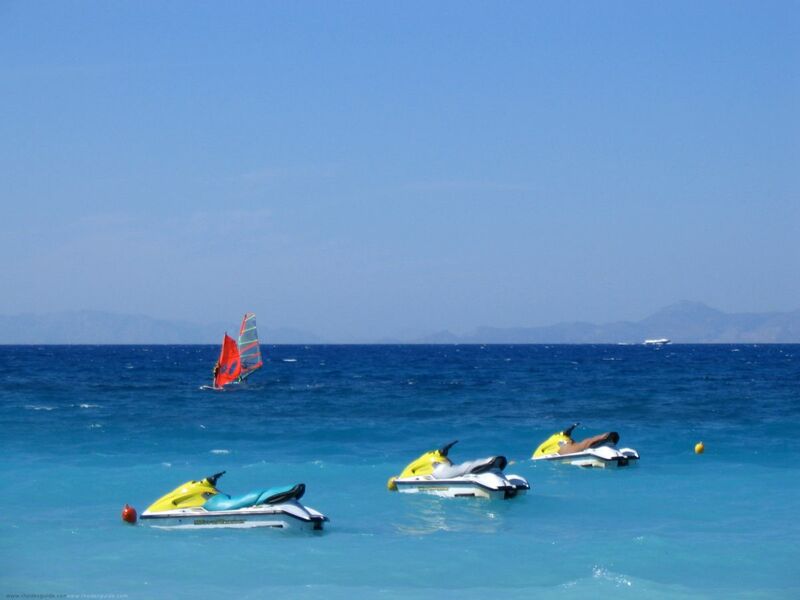 Ialysos and Trianda are one of the best surf spots on the island. The pebbly beach drops quickly to greater depths, the wind blows reliably during the day diagonally from the sea to the land. This is a great advantage for beginners, as they normally cannot be drifted far into the sea. Several surf schools offer courses and equipment rental. Just as at Ixia, the hotel beaches alternate with organized public beaches, used mainly by visitors from those local hotels that do not have their own private beach. It is an ideal place for those who love swimming. Along the cafes and restaurants, there are also many kiosks, mini-markets and fast food outlets. 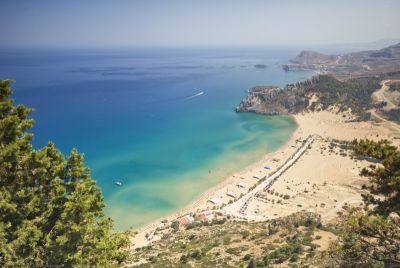 Looking for a hotel in Ialysos (Ialyssos) or Rhodes? 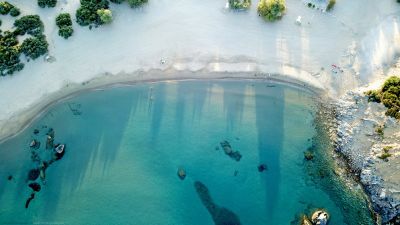 Check the following deals and special offers for hotels in Ialysos (Ialyssos) and Rhodes! Ialyssos is about 5 miles from Rhodes Town. It has a good bus service and plentiful taxis also good car hire Sky Rent a Car is highly recommended in Ialyssos to see the rest of the island. The beach is pebbly so wear some water shoes otherwise going into the sea is not a pleasant foot experience. There are a good selection of tavernas some with live music and entertainment.